Jimi Hendrix really needs no commentary. Everyone knows this song, and everyone knows his story. To the point of over-familiarity, some would say. 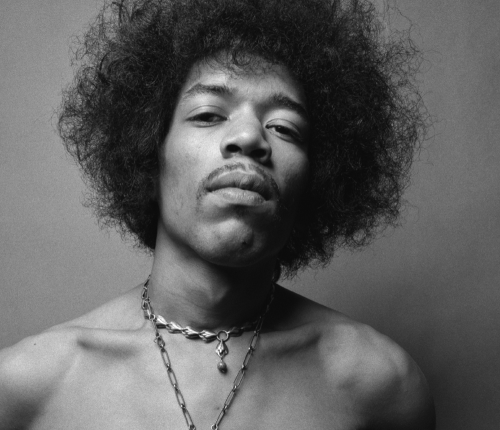 Hendrix continues to compel the imagination as much for being such a tantalizing ‘what-if’ as for his actual legacy. Obviously, we all know that it’s more fun to lionize the gifted and dead than the equally-gifted-but-still-plugging-along. We enjoy the narrative more than we enjoy the work. Would we listen to Purple Haze with the same delight if Jimi Hendrix was now an elderly man composing music for films, releasing the occasional space-jazz album, and making out-of-touch comments about today’s social issues? Probably not. We like it because it’s a preview of attractions that never came.